The team will be coached by senior Andy Sturm. Congratulations to all the new officers, and the team is very excited for what should be another successful season. A play-by-pay and game recap of Elon's season finale vs. NC State is still coming soon; site updates have been delayed due to finals. 4/28/2009 - Closer Jay Struck has improved to second nationwide in saves with 4, one behind Colorado State's Nicholas Jeanette. He can tie Jeanette with a save in Elon's final makeup game with NC State Sunday. Starter Mark MacNeill, in surpassing 20 innings pitched over the weekend, now qualifies for the national leaderboards in rate stats, such as ERA. MacNeill ranks 23rd overall in K/9, and places substantially high in both strikeouts and ERA as well. 4/27/2009 – Elon Club Baseball moved into third place in the Mid-Atlantic South conference by splitting two doubleheaders against perennial powerhouses UNC Chapel Hill and NC State. With one left to play, Elon has a chance at its first-ever season above .500. The offense has continued to come alive, improving the team batting average by over 30 points in four games. Meanwhile, effective starting pitching has helped to avoid overtaxing the bullpen arms. Senior Mark MacNeill allowed just an unearned run in 6 innings in Game 1 vs. UNC Friday en route to his first win of the season and Elon’s fifth in a row. MacNeill, who frequently worked his way out of trouble, allowed just three hits and struck out five. Closer Jay Struck picked up his fourth save of the season with a scoreless 7th. Second baseman Frank Hurd and third baseman Darren Hepke both had multiple hit games atop Elon’s batting order. Hepke (2-4, 2 R, 2B, RBI) drove in the go-ahead run in the 7th after center fielder Sean Flynn and left fielder Drew Johnson walked around a Jake Schoenfeld sacrifice bunt. Hurd (2-3, RBI, 2 SB, BB) added an insurance run with a base hit to score Johnson, before a Ryan Pauley sacrifice fly plated Hepke. Check out the full box score and play-by-play. Hepke (1-2, R, SB, 2 BB) was again all over the basepaths in the nightcap, and first baseman Jamie Hawkins added a pair of singles in three trips, but Elon managed only three other baserunners in dropping a tough one to UNC 5-2. Starter Derrick Burnett was shaky in the first, but rebounded to finish strong. In allowing just an unearned run to score in his final four innings of work, Burnett scattered three hits and a pair of walks to keep a potent UNC lineup in check. Check out the full box score and play-by-play. Elon’s offense feasted on NC State’s pitching staff as the team took revenge on NC State for stealing their shade on a hot and humid day at Firehouse Field. Hawkins (3-3, R, 2B, HR, 4 RBI, BB) had the offensive performance of the year, hitting Elon’s first home run of the season and falling a triple short of the cycle. Catcher Andy Sturm (3-5, 2 R, RBI), Hepke (2-4, R), and Pauley (1-2, 2R, 2B, 2 BB, 2 SB) were also key cogs of Elon’s attack. In all, the team put 19 runners on and scored in every inning but the sixth on its way to a 10-6 victory. Check out the full box score and play-by-play. Elon didn’t save enough runs for the second game, as they could manage just six hits and one walk in a 5-2 loss to NC State to split the doubleheader. Sophomore Nolan Elingburg mostly pitched around trouble in his four innings of work, but a couple costly errors led to a four-run fourth that would eventually prove to be decisive. MacNeill came in on one day’s rest to throw two effective innings of relief before Struck induced a pair of whiffs to keep the game close in case of a potential comeback. Still, splitting a doubleheader with the conference leader is impressive, and at 7-7, Elon maintained its hold on third place in the Mid-Atlantic South. Check out the full box score and play-by-play. Elon returns to action for its season finale this Sunday vs. NC State at Firehouse Field at 12pm. 4/23/2009 - Elon has rescheduled the remainder of its postponed conference games for the spring 2009 season. The team will travel to Wake Forest, NC, for two with UNC on Friday night beginning at 6pm, with a home doubleheader vs. NC State on Sunday at 12pm. Finally, next Sunday, May 3rd, the team will play its season finale against NC State, once again at Firehouse Field. 4/21/2009 - Elon closer Jay Struck has moved into a 4-way tie for third place in the nationwide lead for saves. Struck, who has struck out 8 batters in 6 2/3 innings, picked up his second and third saves of the season against UNC Charlotte this past weekend. Struck trails Colorado State's Nicholas Jeanette (5) and Texas A&M's Matthew Wey (4). 4/20/2009 - Elon Club Baseball made program history with its three-game sweep of UNC Charlotte this weekend, the first the team has ever recorded. The victories also marked the longest win streak (4 games) and the deepest the team has ever played .500 ball in a season. With most key players returning next season and suffering only close losses this season, the future looks bright for Elon. Elon put 17 runners on base in game 1, and some timely two-out hitting in both the 3rd and 4th innings led to a pile of runs. Right fielder John Edgington busted out of his slump with a 3-4 showing at the plate with a double, three runs scored, and two RBI. Catcher Jake Schoenfeld and center fielder Derek DeAndrade both singled and walked three times in four plate appearances, with DeAndrade adding a run scored and a stolen base. Reliever Derrick Burnett pitched 3 2/3 hitless innings in relief of starter Mark MacNeill, walking seven but inducing two double plays to escape trouble. Burnett picked up the victory to improve to 2-0 on the season. Check out the full box score and play-by-play. Starting pitcher Nolan Elingburg retired the first eight batters he faced before an error and a base hit ended any hopes of a perfect game or no-hit bid, but Elingburg was filthy before running into trouble in the 4th. Relievers Aaron Moger and Jay Struck sealed the game by combining to strike out six and allow just a single baserunner via a walk over three scoreless innings. Moger improved to 1-1 with the win, with Struck picking up his second save of the season. Elon batted around in the first to plate four runs and leave the bases loaded, but struggled to find its rhythm on offense after bursting out of the gate. Catcher Andy Sturm continued to wield a hot bat with a 2 for 4 showing at the plate, including a double, a run scored, and a pair of RBIs. Left fielder Kevin Monahan and second baseman T.J. O'Malley both picked the team up with solid work off the bench for Elon. O'Malley singled twice in three trips, adding a stolen base in the process. Monahan, in his first start of the season, hit a ground-rule double down the right field line that would have scored O'Malley (later driven in by shortstop Ryan Pauley), and also drew a walk in three plate appearances. Check out the full box score and play-by-play. The Elon bats really came alive for Sunday's series finale with an impressive 13 hits, led by four multihit performances by center fielder Derek DeAndrade (3-4, R, 2 RBI), designated hitter Chris Milano (2-4, RBI), shortstop Ryan Pauley (2-4, 2 R, 2B, 2 RBI, SB), and catcher Andy Sturm (2-4, R, RBI). Starter Vince Benedetti gave Elon a solid start with 5 1/3 innings of work, allowing just two earned runs and striking out four. However, after a long wait while Elon sent 11 to the plate in the 6th in the process of scoring five runs, reliever Ryan Swanzey struggled in the 6th and cut Elon's 7-3 lead to 7-6. Steve MacDougall entered and pitched around an error to once again record a huge out and keep the game in check. Closer Jay Struck went two innings to pick up his second save in as many days, and third of the season. Check out the full box score and play-by-play. Elon returns to action Friday night to make up a doubleheader with UNC Chapel Hill at 6pm in Wake Forest, NC. Directions and details will be posted as available. 4/17/2009 - Join us for Elon Club Baseball's home series this weekend against UNC Charlotte. All three games will take place at Firehouse Field in Elon, with two on Saturday at 12pm and 3pm, as well as a Sunday 9-inning finale beginning at 1pm. 4/7/2009 - Limited statistics for Elon Club Baseball are also now available at the official NCBA website. This means Elon players are now eligible for national leaderboards. 4/6/2009 - Elon finished up an eventful week with a 12-6 win yesterday, playing a very competitive three-game home set with Wake Forest. Freshman Steve MacDougall picked up an exhausted Phoenix pitching staff by surrendering just an earned run over 3 2/3 innings in his spring season debut. Ryan Swanzey followed with 3 1/3 hitless innings to pick up the save. Patience was a virtue for the offense, which drew 13 walks to go with its 9 hits. Catcher Andy Sturm (2-4, 2B, R, BB, 3 RBI), first baseman Mark MacNeill (2-4, 2 RBI), and third baseman Darren Hepke (3-4, 3 R, BB, RBI) all posted multi-hit games for Elon. Shortstop Ryan Pauley and right fielder Dontrell Jones both drew three walks and added a stolen base each. A full box score and play-by-play is available here. Elon dropped both games of Saturday's doubleheader in heartbreaking fashion. Starter Mark MacNeill struck out 12 and surrendered just two earned runs over his six innings of work, but a solo home run by Wake Forest's dangerous #3 hitter sent the game to extra innings. Derrick Burnett and Aaron Moger were both solid in relief and supported by flawless defense, but the team managed just four hits in the eventual 11th inning loss. In the second game, starting pitcher Nolan Elingburg did a great job of pitching out of trouble, limiting Wake Forest to just two runs in his six innings of work. However, with the game tied going into the 7th, Wake broke away, and the Phoenix went down in the bottom half of the frame to drop the game. Full box scores and play-by-play are available for Game 1 here and Game 2 here. 4/3/2009 - Elon suffered a tough loss in a 9-inning makeup against UNC Chapel Hill Wednesday night, dropping the game 7-2. The Phoenix were led by starter Vince Benedetti, who struck out four in 4 1/3 strong innings. Designated hitter Derrick Burnett went 2 for 4 with a pair of singles and two RBI, while center fielder Sean Flynn added a pair of walks. Interestingly, none of the runs scored by either team were earned. A full box score and play-by-play is available here; individual and team statistics will not be updated until this weekened's games have been played. Speaking of which, the Phoenix will host Wake Forest this weekend for a three-game set at Firehouse Field. Elon follows a Saturday doubleheader (12pm, 3pm) with a 9-inning game on Sunday, beginning at 1pm. The weather forecast looks very promising, so come out to support the team. 3/16/2009 - This weekend's games against NC State were postponed due to inclement weather. Makeup dates and times will be announced as they are made available. 3/10/2009 - Congratulations to Derrick Burnett for being named the Mid-Atlantic South Conference's co-Pitcher of the Week for his effort over the weekend. Details are available on the conference website. 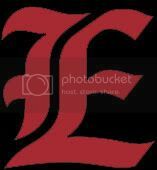 3/9/2009 - Elon Club Baseball notched its first victory of the season yesterday with a 6-4 victory in the series finale against ECU. Elon starting pitcher Derrick Burnett cruised through six innings en route to the win, allowing just one run while walking no batters. Shortstop Ryan Pauley's (2-5, 4 RBI) bases-loaded double to right center in the 5th broke the game open and proved decisive. Catcher Andy Sturm added a pair of singles and an RBI, while third baseman Darren Hepke reached and scored twice with a pair of steals. Read more about the team's weekend in the game results section. The team returns home next weekend for a three-game set with NC State at Firehouse Field. 3/3/2009 - Directions to East Carolina University's home field have been added to the directions page. Weather permitting, the team will stay overnight in Greenville, NC, to play its three-game set with the team. 3/2/2009 - This weekend's games against UNC Chapel Hill were postponed due to inclement weather. Makeup dates and times will be announced as they are made available. 2/17/2009 - Elon Club Baseball's first two spring season games against UNC Chapel Hill on Saturday, February 28th will be played at Burlington Athletic Stadium in Burlington, NC, home of the minor league Burlington Royals. The nine-inning series finale on Sunday, March 1st will be played at the USA Baseball National Training Complex in Cary. Directions to both parks have been added to the directions page. Stay tuned for more updates. 2/08/2009 - With warmer weather arriving and the spring season quickly approaching, the team has resumed official practices. The team currently meets Tuesdays and Thursdays from 4:00p-6:30p, as well as Saturdays 12:00p-2:00p, with an optional Friday batting practice at 3:00p. The team has its first spring series on the road versus UNC Chapel Hill on Saturday, February 28th, and Sunday, March 1st. With just three weeks until league play begins, the site is also undergoing a number of changes in order to prepare for the season. All fall statistical data has been removed from the main pages and can be viewed via the archive page. The player statistics and team statistics pages will be empty until the conclusion of the team's first series later this month. Keep on checking back for more updates, and be sure to follow Elon Club Baseball via media, box scores, game recaps, stats, and more updated after each series. 1/14/2009 - Welcome to the new home of Elon Club Baseball. This site is your one-stop resource for keeping up with the team's game results, statistics, photos, and more. With only a few short weeks until the team's first spring series against UNC Chapel Hill, the team is excited for what should be a fun and competitive spring season.